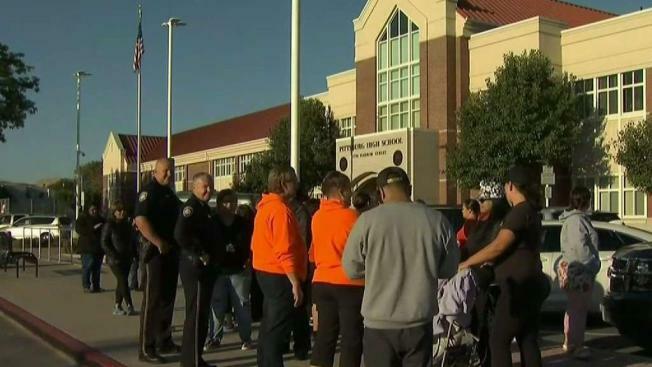 Parents rallied outside an Pittsburg High School Wednesday morning after violent threats made over the weekend against the school led to arrests of four minors. Pete Suratos reports. 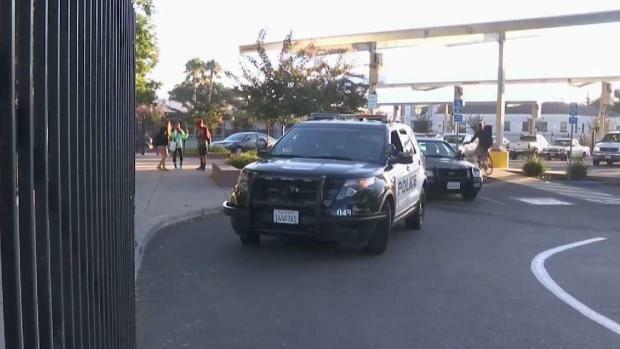 Parents rallied outside an East Bay high school Wednesday morning after violent threats made over the weekend against the school led to arrests of four minors. "These kids think they’re untouchable and can get away with anything. Thank you very much for posting it because if you didn’t post it, we couldn’t catch you," said one parent, Christina White, who gathered outside Pittsburg High School. Four students, all minors and three of which attends Pittsburg, were arrested and held at Juvenile Hall for making violent threats towards the school on social media. While police concluded that the messages were "not a credible threat nor was it intended to be any kind of threat," recent school shootings across the county concerns parents as well as other students. Extra officers are patrolling Livermore High School this week after students found a note that "alleged a direct threat" to the East Bay school, according to police. One of the message posted online included a photo of a minor reportedly pointing a gun at the school. Police investigation found that the gun in the photo wasn't a gun and no weapons were located during the arrests. A Pittsburg High School junior, Suleyma Luis, said she stayed home on Monday because she didn't feel safe coming to her own school. "Unfortunately people thrive off of fear, that’s what this is. A form of terriorsim if you will," Pittsburg Police Chief Brian Addington said. The threat at Pittsburg High School comes on the heels of similar incidents that occurred at at least two other East Bay high schools over the past few days, according to police. Extra police officers patrolled Livermore High School this week after students found a note that "alleged a direct threat" to the school, according to police. In nearby Concord, police on Monday investigated a possible threat of a shooting at Clayton Valley Charter High School, according to the city's police department. The possible threat was allegedly made on a social media post, and several students reported hearing about the rumored threat, but police were unable to find anyone who actually came across the post or could tell them about who may have created it. "It is safe here. It’s unfortunate that we had some students that want to pull a prank that involves violence at schools," said Wolfgag Croskey, a Pittsburg High alumnus.